The Thoroughbred Idea Foundation believes that, like a good horse, a good idea can come from just about anywhere. We’ve solicited our followers to submit their ideas. We will begin presenting some of these ideas in the form of “idea blasts” – offering several ideas that may be well-developed or could be quite under-developed, but the intent is to get this industry thinking, talking and innovating. Horse racing's operational status quo is unhealthy. Want to submit your own ideas, click the button above or CLICK HERE. Alex suggests that the sport of thoroughbred horse racing should provide some data for free to customers, not just in a formatted fashion similar to past performances, but also in a raw format so that it could be used for advanced applications. If tracks made racing past performances that were formatted in a way that casual fans could access for free, but also made that data accessible via an API (application program interface) or in some machine readable format, then I believe it is highly probable the handle would dramatically increase. It would be very probable that funds with algorithms and or AI/Machine Learning will start feeding that data into programs that will generate large scale betting that is all automated. It is very similar to when the NYSE, CME Group, ICE exchanges made stock and commodities trading electronic – as opposed to open outcry trading, and the data was opened to be analyzed in bulk. When *both* of those elements existed, the volumes on the exchanges went up drastically (and they made more money - as more volume equals more money to an exchange). Currently with the ADW platforms, we have easy electronic ways to make bets - but as I understand it, open data for 'funds' to start leveraging that technology to make wagers on a scale that has yet to be seen. It would benefit the tracks’ bottom line immediately and ultimately make the entire industry much stronger - with the rising tide of dramatically increased handle floating all boats. Mark is the Vice President of Public Sales and Marketing for Taylor Made Sales Agency. His idea is a revamp of the Eclipse Awards, suggesting that championships are better earned through racing and in a trackable format that is far easier to understand than a partially blind vote. We all know that the root cause of nearly all of our problems is our lack of centralized governance. We simply do not have the authority to improve the sport even if the remedy is obvious. Having stated that obvious point, it does frustrate me that the seemingly “simple problems” can’t be fixed. One such problem is our basic lack of fan understanding about how we crown our champions. I cannot think of another competitive endeavor in the world which crowns champions based on opinions. Goal: To create a clearly defined way to determine annual Thoroughbred Champions in America which will be easy to follow and understand for all participants and fans. 1) Decide which categories of racehorses should be crowned Champions. Currently there is some debate among two year old fillies. We have two elite fillies – one is on dirt and the other on turf. We shouldn’t have to make the choice. To me, Jaywalk is the Champion Two Year old filly. If we want a two year old filly turf champion, we need to create a new category. Championships need to drive competition. Currently the connections of these two fillies probably never considered that they need to run against the other one if they desired the championship. 2) Create a points system which clearly shows each week who is in the lead and would create drama throughout the year. I would suggest the Breeders’ Cup carry a significant point total to encourage participation and, essentially, penalize early retirement or missing the end-of-season main race. G1 races get an allotment of points, G2 might get some points and placings could be considered. Head-to-head matchups would create natural tie breakers. We would need to involve a lot of smart people to develop this system, and it would likely differ for two-year-olds too. Horse of the Year would be difficult to determine strictly on points. Maybe this is where a hybrid of the current system (media and racing officials vote) and a points system could be derived? Ultimately we need to make racing easier to understand. Currently, only insiders have a clue what’s going on. It would be like the Saints winning the Super Bowl but the media deciding the Patriots were actually the best team. Joe is a 32-year-old former electrical engineer now pursuing a career in teaching. A family friend introduced him to the sport just before the 2014 Breeders’ Cup and Joe has since sought as much information as he can get on racing, becoming a regular player. His idea is, admittedly, quite raw, but it has us pondering the possibilities as to how this could potentially work. The sponsor would benefit by exposure, the horseplayer by the low takeout, the track with the swell of wagering and residual betting attention. I'm sure there are a multitude of hurdles to clear and, while there might be some unforeseen consequences, it could be a mutually beneficial way to get more positive betting attention. Craig is the founder of the Thoroughbred Idea Foundation and the President and CEO of Glen Hill Farm. He offers an idea of his own relative to a potential permanent host site for the Breeders’ Cup and the need for the racing industry to step forward for its own sustainability. Major thoroughbred industry stakeholders should purchase Fair Grounds in New Orleans and make it the permanent home of the Breeders’ Cup. The grandstand and backside could be modernized to become a world class racing venue. This move would give our industry a chance to take control and secure the long-term future of a racing venue in a world class city, which is sorely needed. With this plan, Breeders’ Cup could then run the traditional Fair Grounds meet through the end of March. We would likely have a willing partner, as New Orleans is a city that lives on tourism, hosting more Super Bowls than any other city. There are ample hotels and dining options, a huge casino, and a good airport. New Orleans would surely welcome the Breeders’ Cup’s clientele for a week every November. A further benefit is that there is not a significant land premium for development placed on Fair Grounds. Horse racing has declining handle, a declining foal crop, an aging fan base, and increasingly limited public perception. Outside of Keeneland and Del Mar, most of our industry’s main assets are generally consolidated amongst two main entities, The Stronach Group and Churchill Downs. Both entities present some questions marks for the industry going forward. As the Breeders’ Cup has been one of the most successful growth stories over the last three decades of the sport, and as their financial management has generated more than $50 million in investible assets that could be used to lead an investment like this, it would be prudent for racing to support itself. 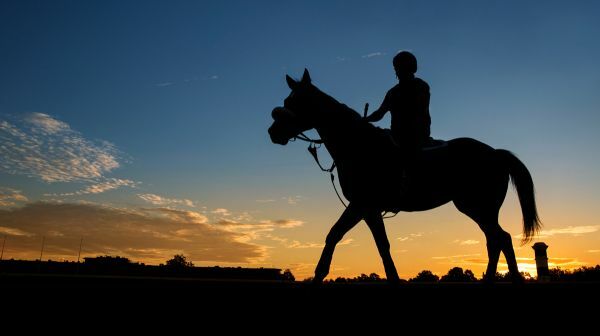 Major owners, breeders, stallion farms and other industry organizations would also be needed to fund a necessary effort like this to ensure racing’s future. Idea submissions have come in varying sizes. Robert’s idea is fairly straightforward, and certainly has us thinking – why not? We need some type of cover at major racetracks to keep turf courses firm. I am a small owner and I have lost countless opportunities in New York to run my horses. Why should stakes races, or even Breeders’ Cups, be threatened by rain? Send us your ideas and share your thoughts on Twitter with racing's engaged community.